Tropikal Liqueur is a special blend of all natural fruits, herbs and spices that hail from the Philippine tropics which will surel awaken our senses. Coconut Rum Liqueur is a refreshing and smooth blend of white rum and naturally fermented Philippine coconut meat that can be enjoyed on the rocks, as a shot or as a mixer to your favorite cocktail. 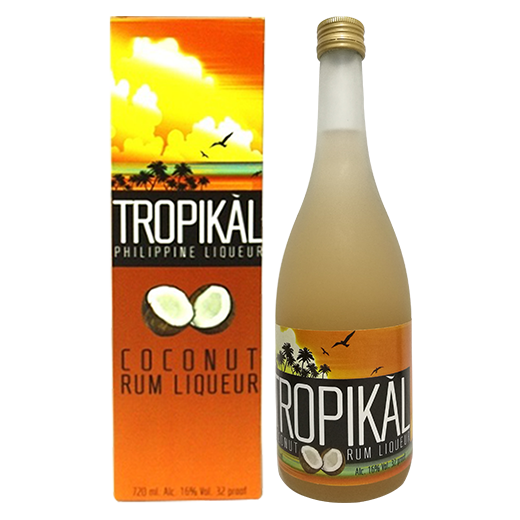 Taste the Philippines with Tropiikal Liqueur!